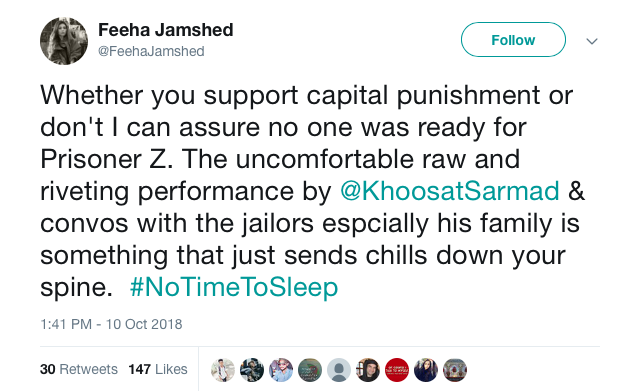 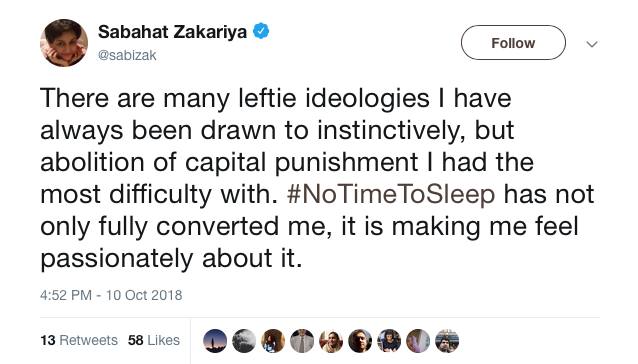 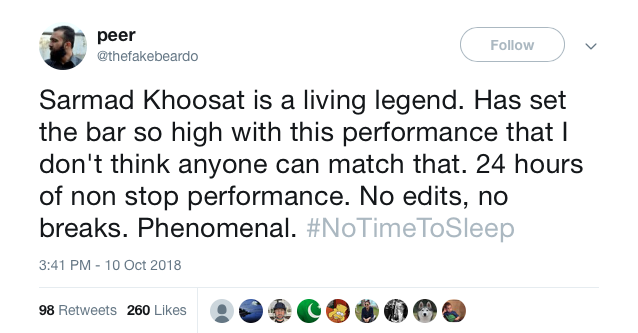 That’s what one viewer said after watching No Time To Sleep, a 24 hour performance depicting a death row prisoner counting down to his own execution (@mahwashajaz_ on Twitter). 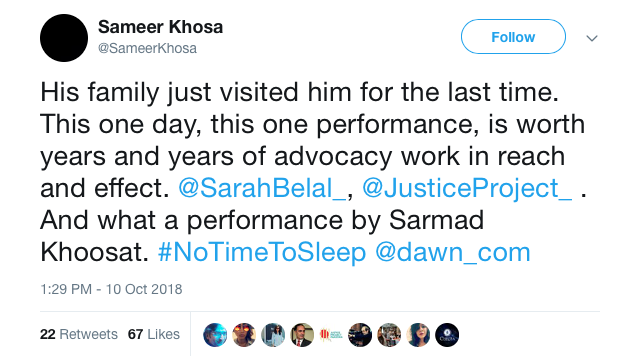 Over a million people tuned in to the performance, a collaboration between Highlight Arts, Justice Project Pakistan and Olomopolo Media, which took place in Lahore and was streamed live on Pakistani news website Dawn on Wednesday 10 October, World Day Against the Death Penalty. 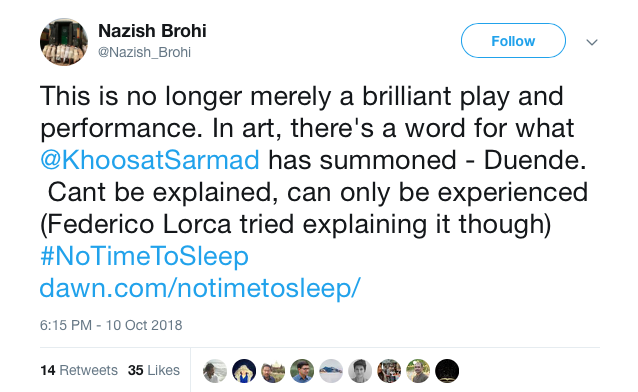 The ambitious durational performance was shown at events in the UK Parliament, EU Parliament and Cambridge University, as well as being watched in homes across Pakistan and the world. 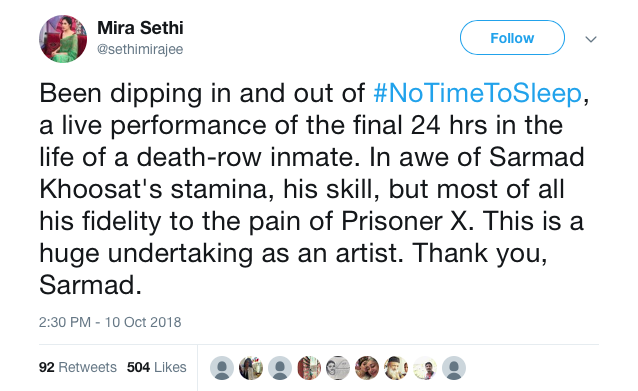 No Time To Sleep was an epic feat for actor Sarmad Khoosat, whose preparation for the role included losing weight, shutting himself in a box and visiting real death row prisons. 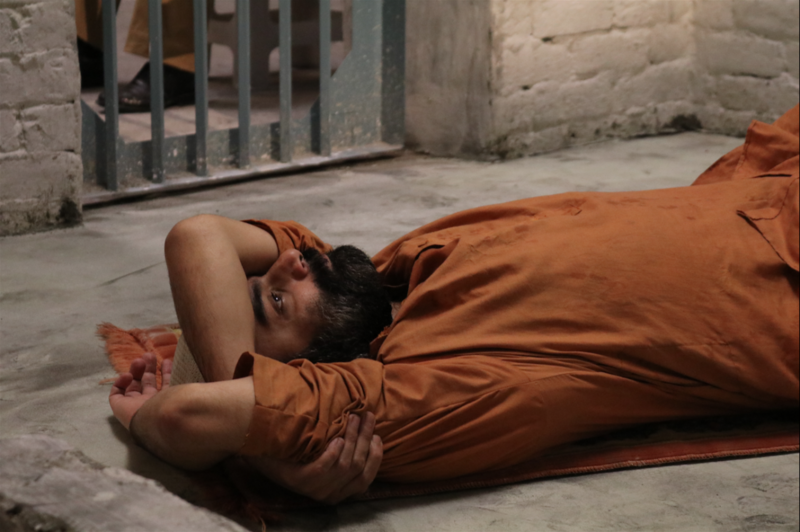 Sarmad’s performance and the ‘prison cell’ in which he spent 24 hours were so uncannily realistic that some viewers didn’t realise they were watching an enactment – Dawn received phone calls from viewers asking them to ensure he wasn’t executed. 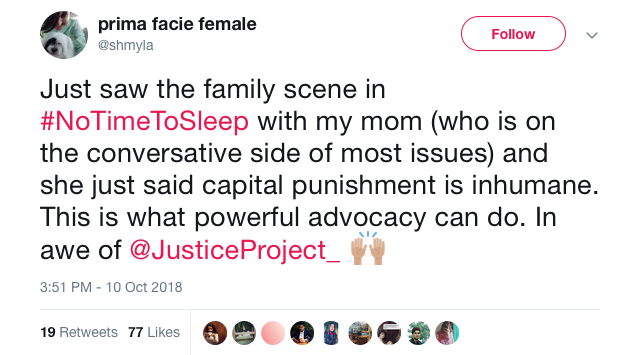 No Time To Sleep aimed to open a conversation about the death penalty by revealing the real-life implications of a practice that is usually hidden from public view. 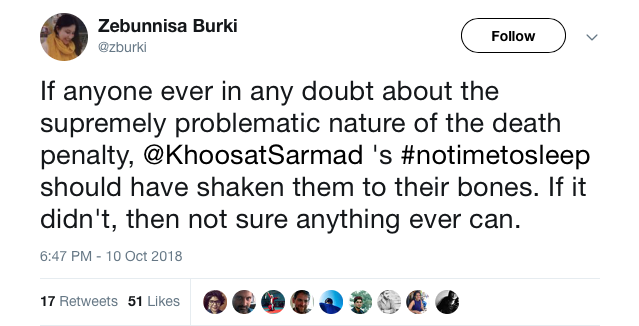 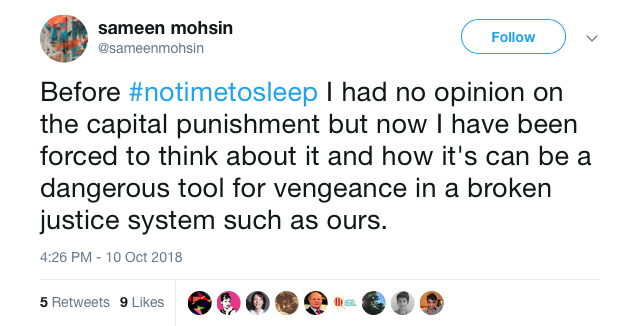 The reactions from viewers reflected mixed public opinion on capital punishment in Pakistan, where nearly 500 people have been hanged by the state since 2014. 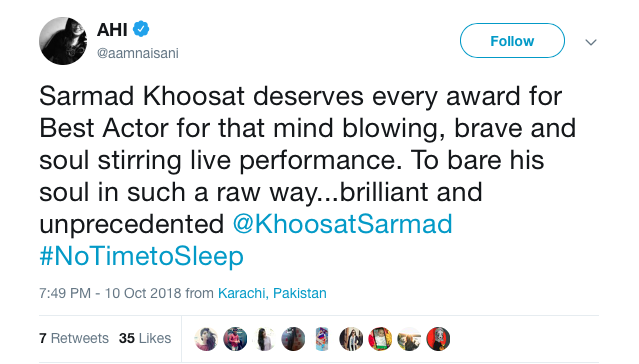 But many said the raw, intimate performance had made them question their opinions on the topic. 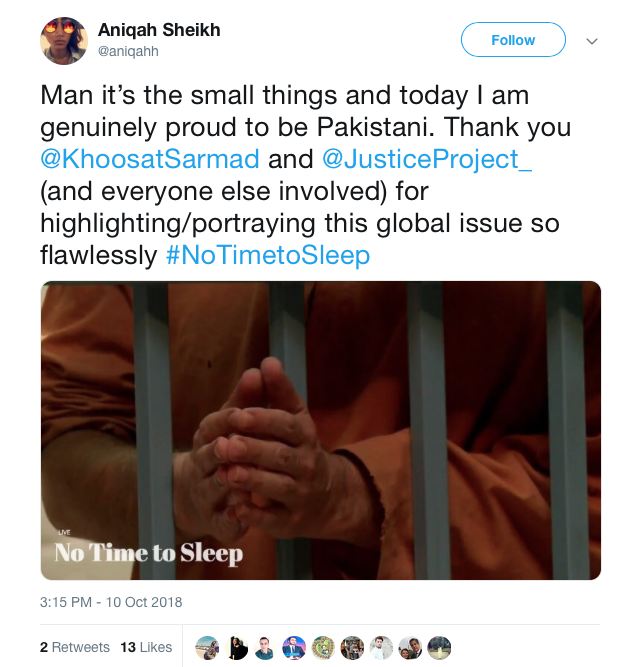 #NoTimeToSleep: In the shoes of a dead man walking in Pakistan – The UK’s Daily Mail was among several outlets to run a feature on the performance by AFP.